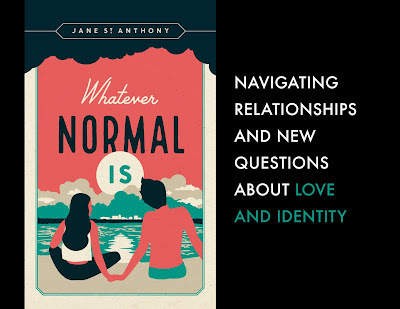 Jane St. Anthony: What, after all, is normal? In seventh grade, Patrick handed a note to me. It didn’t travel far. Patrick and I sat side by side, our desks aligned. Sandra sat directly behind Patrick, and Steven was behind me. When Sister Evangeline wasn’t watching us, seventh grade felt like a jolly double date in a convertible. “I love Jane,” Patrick had written. “I really do.” It was signed with his full name. I carried the note in the inside pocket of my brown corduroy winter jacket for a very long time. Did I know what it felt like to be loved? I believed I did and it was thrilling. As the size of our class grew from forty-eight to fifty-four, the drama increased—whether spoken, observed, or written on scraps of paper. Alliances were forged and sometimes broken. Mystery, embarrassment, hilarity, secrets, defeat, redemption, acclaim were experienced in one room with one Dominican nun in charge. Is this what author Willa Cather meant when she wrote, “Most of the basic material a writer works with is acquired before the age of fifteen”? In Whatever Normal Is, Margaret, Grace, and Isabelle are best friends, with Margaret and Grace having forged an alliance in first grade. They first appear in The Summer Sherman Loves Me, set in the summer before seventh grade, and Grace stars in her own book, Grace Above All, the next summer. Gentle Isabelle joins them in eighth grade in Isabelle Day Refuses to Die of a Broken Heart. In Whatever Normal Is, the girls are high school juniors. Feeling uncertain and somewhat invisible, Margaret focuses on the end of high school. Isabelle accepts it as her destiny. The outspoken Grace proposes a blueprint for happiness: a job, a car, and a boyfriend. And so Grace presses to expand their worlds. She achieves the first goal—a job, where she eyes a co-worker named Teddy almost as much as the pie counter she manages. But Teddy’s attention is on Margaret, who agonizes over telling Grace. Sometimes Isabelle must mediate. When Margaret falters—overwhelmed by keeping the secret of Teddy from Grace—Isabelle steps in. “Kiss and make up,” Isabelle said, as Margaret put her head on Grace’s shoulder and cried harder. Grace seemed to be carved out of granite. But her arm began to move stiffly, and she patted Margaret’s back while her face remained stoical. And as Teddy becomes closer to Margaret, he wrestles with his own reasons for needing her. As a daydreamer and wanna-be writer, I didn’t realize all the material to be hoarded simply by being alive, at any age, in any place. 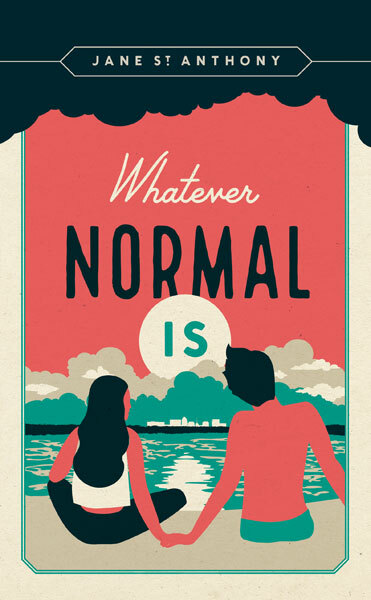 What, after all, is normal? These are some of the questions, “the basic material,” as Willa Cather called it, that inform my stories. Jane St. Anthony is author of Whatever Normal Is, The Summer Sherman Loved Me, Grace Above All, and Isabelle Day Refuses to Die of a Broken Heart, which was a finalist for the Minnesota Book Award and won the Midwest Booksellers Choice Award for Young Adult and Middle Grade. She lives in Minneapolis and works with young writers. "Jane St. Anthony keenly captures the essence of coming of age: that irreversible moment of discovery that the world is much greater and deeper than you have imagined—and that other people’s lives are as big as your own." In October 2018, just prior to the November midterm elections, Twitter banned close to 1,500 accounts that all featured the same gray, expressionless cartoon avatar. “NPC,” a version of the Wojack or Feels Guy reaction image, is a meme generated by the right-wing internet as a representation of liberals. Accounts featuring NPC as an avatar, Twitter alleged, had violated Twitter’s terms of service when, while mockingly impersonating liberals, they spread “intentionally misleading election-related content,” such as the incorrect election date. The name of this icon—“NPC”—is a reference from videogame culture. Shorthand for “non-playable character” or “non-player character,” an “NPC” is any character a human user does not control. Without a user to direct their movements, dialogue, and interactions, the NPCs are directed by the game’s programming. Depending on the specific character and the type of game, an NPC can be as simple as a still image next to text bubble dialogue or as complex as a photo-realistic, voice-acted, three-dimensional model guided by adaptive artificial intelligence that reads, reacts to, and learns from the player’s interactions with the gamespace. Some NPCs have well-drawn personalities and players can get to know them over the course of multiple hours of gameplay. Most, though, are the equivalent of movie extras. They mill around town in a simulation of daily life to make the virtual world seem vibrant. They fall in with the attacking enemy horde only to be dispatched unceremoniously by the heroic player character. When NPCs aren’t important to the story, they usually aren’t designed for sustained player interaction and attention. Their animations are on short loops, their movements follow set, predetermined paths, their dialogue is scripted and repeats frequently. If the player lingers with them for a moment, the veil of immersion breaks down and their computer-driven behavior reveals itself. It’s this quality of the NPCs—their pre-programming—that became the seed of the right-wing meme. The insult, summarized by Kevin Roose of the New York Times, is that liberals are “programmed” to repeat the same limited dialogue and action scripts, like NPCs. They are thus unresponsive to the assumed sound, logical arguments of the right and therefore incapable of independent thought. Beyond characterizing liberals as poor interlocutors, however, as many commentators like Cecilia D'Anastasio of the videogame culture blog Kotaku observe, the NPC insult is dehumanizing and potentially threatening. Given all manner of virtual suffering and death some videogames allow players to dispassionately inflict on these characters with no human behind them, coupled with the right-wing’s tendency to dehumanize and suggest violence against political rivals and minorities, the potential harm of the meme goes beyond spreading misinformation on social media. At the same time, there are a few fundamental ironies at play in the NPC meme. I want to set aside for now the most obvious irony of using a meme to criticize opponents for repeating received arguments, but that’s part of this phenomenon as well. Instead, I’m interested in how the meme misunderstands our relationship with digital characters and environments. In brief, the NPC meme describes computer-driven, non-playable characters as incapable of responding to logical arguments, when in reality the computer code comprising an NPC is itself nothing but a logical argument parsed by a computer. At a material level, NPCs are a bundle of scripts called to perform when the game state meets certain circumstances. The scripts may not be very complicated, depending on how important it might be to the game. Nonetheless, they are basically just a string of “if this, then that” functions. For example, if the player selects dialogue option “A,” then, the NPCs plays dialogue line “X,” which had been designated as the response to option “A:” if input A, play line X. That means, literally the only time NPCs change their behavior is when presented with new logical argument, such as when a programmer or modder injects new bits of code. It is not just the NPC who is limited by programming. The playable character similarly has only a particular set of available animations, dialog, and abilities. It receives input from the player and so can engage the virtual environment as the player chooses, but only through the range of affordances defined by the game’s if-then statements. For example, no matter how much a player of Grand Theft Auto: San Andreas might want the protagonist CJ to go around hugging pedestrians, it simply isn’t an available in-game action. There is no changing the player character’s mind, perspective, or responses either. He—and it is almost always “he”—may tend to have more compelling reactions to the player’s input than the NPCs, but, without rewriting the game’s code, it too can only express what it was programmed to express. The NPC and PC both exist within a protocological environment and can only ever enact the environment’s programmed logics. Down to the level of computer programming, protocol allows for creative operation of the functions, but not breaking protocol. As Alexander Galloway explains in Gaming: Essays on Algorithmic Culture, it is this flexibility that enables the digital system to maintain stability. In this sense, both PC and NPC function within the same operational logic, neither capable of differentiated response to player inputs regardless of who pushes the buttons or their political and philosophical leanings. Of course, these right-wing memesters are not considering the how videogames participate in the functioning of power in a control society. The NPC insult is simply supposed to delegitimatize and dehumanizes people who are seen to be uncritically repeating arguments and buzzwords by, ironically, reproducing and spreading a meme. But this irony is precisely the trick of protocol that makes it so effective. It offers an agency that appears like self-determination, but within constrained, consistent, repeatable perimeters, much like memes themselves. Logical argumentation is presumed to be an alternative to NPC-hood, when the logic of protocol is what makes possible the NPC in the first place. Videogames invite players to take on an objectivized logic—everything is permitted, all is expendable, as long as the mission is completed—which in its very design devalues not only the NPCs but also the player’s own interiority in order to function universally. We have to ask, then, is this kind of cold rationality the avenue to human dignity and independence as the meme supposes or a means to its suppression? The same week these stories about NPCs came out, the President of the United States equivocated over the killing of a journalist allegedly by Saudi Arabia. He argued the life of one non-US citizen isn’t as valuable as maintaining a lucrative arms deal. The logic of this argument relies on the dehumanizing assumption that human life can be weighed against a trade agreement, that it has a calculable, comparable exchange value. This gross utilitarianism in international politics is not new, of course. The so-called “virtuous war” military strategy defines success as reducing the number of casualties suffered by one's own side. While reducing casualties is an admirable goal, it also treats human life as a benchmark statistic, sets parameters for “acceptable” losses and “high value” targets, and removes the human cost from combat. It can even justify more warfare and more casualties. After all, if the lives of one’s own soldiers aren’t at risk, there may seem to be less to lose from a military response. The virtuous war is exemplified by the expansion of war-at-a-distance technologies like drones, which allow the US to strike targets without exposing soldiers to the battlefield. A 2010 United Nations report on targeted killings, however, warned against pilots potentially assuming a “playstation mentality.” The suggestion characterizes piloting a drone as akin to playing a videogame. The two technologies—drones and videogames—share a development lineage (some drones are even piloted using controllers similar to those sold with the Xbox360). The concern raised by the UN here is that the drone pilot might assume a similar attitude toward the silhouettes on their targeting display as they might take toward NPCs in a typical videogame. 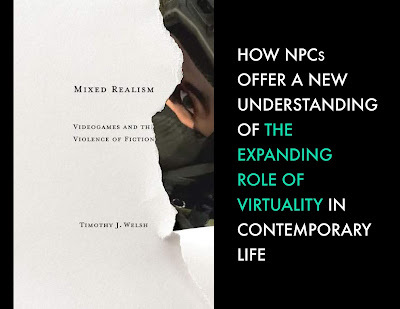 In Mixed Realism: Videogames and the Violence of Fiction, I explain that NPCs are so expendable that games often have to inject them with human value simply so that the plot doesn’t fall apart and fictional events happening to virtual characters have a sense of meaning, gravity, and consequence. The Call of Duty series, for instance, which just saw the release of its fifteenth installment, often does this by having players look an NPC in the eyes. Call of Duty: Modern Warfare 2 uses this technique numerous times, even having previously unrecognizable NPCs gaze directly into the first-person camera just before they are dispatched. Despite the fact that the player will shoot thousands of identical NPCs over the course of the game, looking one in the eyes as they die lends it a degree of humanity. I optimistically suggest that our capacity to see human value in NPCs, to feel anything when we dispatch an arrangement of pixels, is an opportunity to resist operationalized logic inherent in digital games. Doing so requires a different mentality toward play, though, one that sets aside the strategic efficiency implied by game designs and incentives in order to pursue other values such as sympathy and community, ambiguity and complexity, or revelation and awe. The NPC meme may stick around for a while or it may go the way of so much other internet detritus. Regardless, the dehumanizing calculus at its core endures. The contemporary manifestation has found verdant soil in digitally mediated cultures, spreading on social media sites and in videogame communities. Responding to it will likely require not more logical arguments, but the ability to recognize the human in mere digital representations. 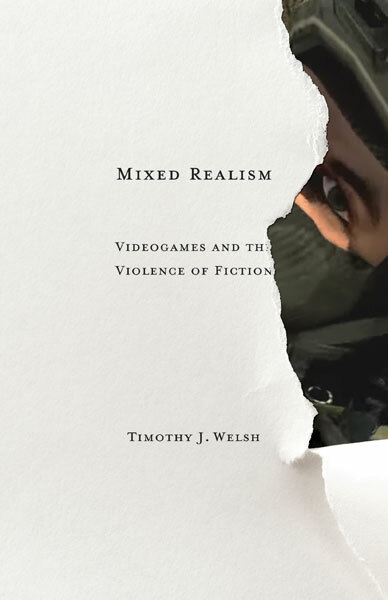 Timothy J. Welsh is author of Mixed Realism: Videogames and the Violence of Fiction. Welsh is assistant professor of English at Loyola University, New Orleans. 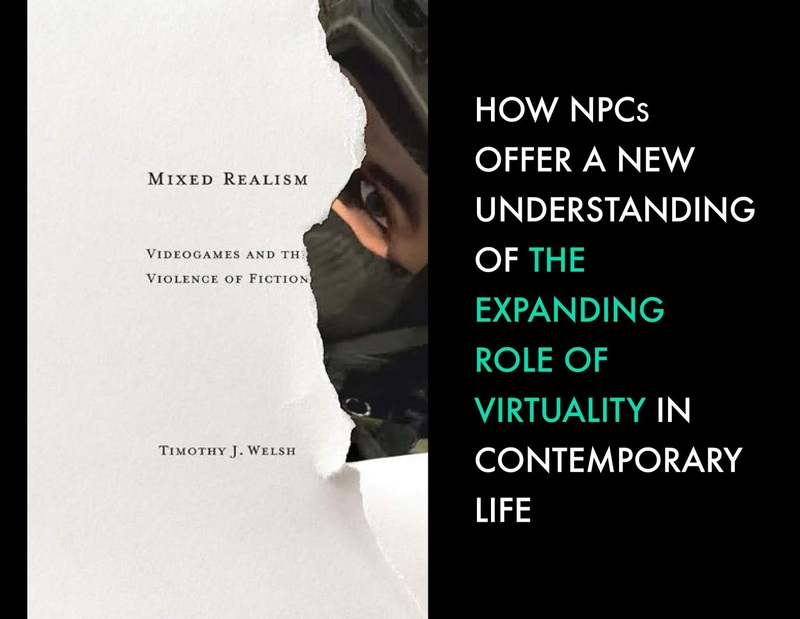 "In Mixed Realism, Timothy J. Welsh proposes a fresh approach to understanding digital games and contemporary literature that is essential, relevant, and engaging." Crogan, Patrick. Gameplay Mode. Minneapolis: University of Minnesota Press, 2011. http://www.upress.umn.edu/book-division/books/gameplay-mode. D’Anastasio, Cecilia. “How The ‘NPC’ Meme Tries To Dehumanize ‘SJWs.’” Kotaku (blog), October 5, 2018. https://kotaku.com/how-the-npc-meme-tries-to-dehumanize-sjws-1829552261. Der Derian, James. Virtuous War: Mapping the Military-Industrial-Media-Entertainment Network. Boulder, CO: Westview Press, 2001. Galloway, Alexander R. Gaming: Essays on Algorithmic Culture. Minneapolis: University of Minnesota Press, 2006. Infinity Ward. Call of Duty: Modern Warfare 2. Activision, 2009. Rockstar North. Grand Theft Auto: San Andreas. Rockstar Games, 2006. Roose, Kevin. “What Is NPC, the Pro-Trump Internet’s New Favorite Insult?” The New York Times, October 19, 2018, sec. U.S. https://www.nytimes.com/2018/10/16/us/politics/npc-twitter-ban.html. Triple Zed and Y.F. “Wojak / Feels Guy.” Know Your Meme. Accessed January 21, 2019. https://knowyourmeme.com/memes/wojak-feels-guy. Wagner, John. “Trump Says Curbing Arms Sales to Saudi Arabia in Response to Missing Journalist Is ‘Not Acceptable.’” Washington Post, October 11, 2018, sec. Politics. https://www.washingtonpost.com/politics/trump-reluctant-to-curb-arm-sales-to-saudi-arabia-in-response-to-missing-journalist/2018/10/11/85c71212-cd4a-11e8-a360-85875bac0b1f_story.html. Welsh, Timothy J. Mixed Realism: Videogames and the Violence of Fiction. Minneapolis: Univ Of Minnesota Press, 2016.